The all-new 2019 product by the Logos company! Protection from any smartphone wiretapping. Autonomous work up to 3 hours. The acoustic ultrasonic safe "SPY-box Ladya-K" is designed to protect the voice information of the owner of a smartphone or mobile phone. 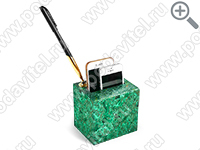 The device automatically starts an acoustic voice chorus and ultrasonic radiation during an unstated connection to the phone and activation of the microphone for listening. The acoustic safe blocks any leakage of voice information through GSM 900/1800 / 3G / 4G / Wi-Fi / BT channels by remote switching on the microphone. The acoustic safe is switched on and off with the help of radio remote control. The device can operate autonomously using the battery in protection mode for up to 3 hours or permanently from the network via a 5-volt adapter. 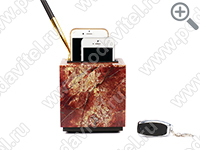 Built-in radio magnetic field detector automatically activates the protection mode when the smartphone is connected to the repeater. 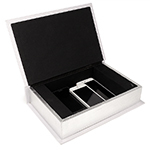 The acoustic ultrasonic safe "SPY-box Ladya-K" was specially created for providing the security of negotiations, in cases when your smartphone is remotely connected using pirated programs or the phone has been upgraded or replaced by intruders. 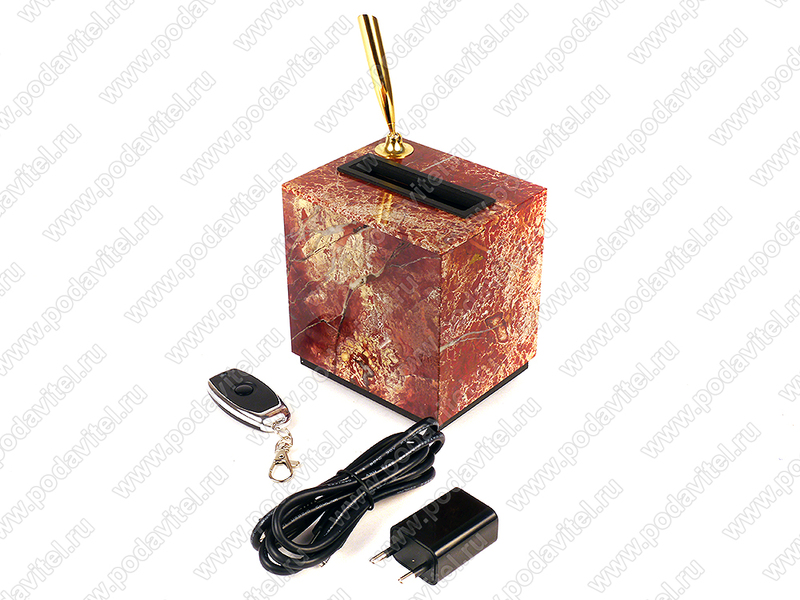 The device is made in the form of a stylish stone desktop accessory for the director’s pen. The smartphone can be held in an acoustic safe for 24 hours, thereby protecting you from wiretapping. Intelligent protection mode. The acoustic safe is equipped with a built-in radio magnetic field detector, thanks to which the protection turns on automatically if there is an attempt to connect to a smartphone or mobile phone. The case of the acoustic safe is made of natural stone. Such an accessory on the director's desk will look well-established and presentable and will not give out the presence of clever high-tech stuffing that protects the phone from wiretapping. Acoustic protection. Noise effect is created in the form of a multi-voiced speech choir, which does not allow recognizing voices and catching the essence of the conversation during wiretapping. Ultrasound impact. The device is equipped with three ultrasonic radiators, which create a low-frequency vibration on the membrane of the microphone of the smartphone, that the output during the remote hidden connection to the smartphone will not give attackers anything except the unpleasant noise. Remote control. The acoustic safe is turned on and off with the help of the radio remote control, which makes it possible to activate the protection mode unnoticed. Autonomous work. The device is equipped with a built-in 815 mAh battery, which allows working autonomously for up to 3 hours with the acoustic and ultrasonic effects switched on. 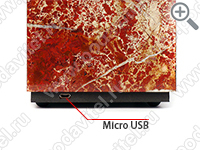 The battery charge lasts for up to one week in the standby mode. 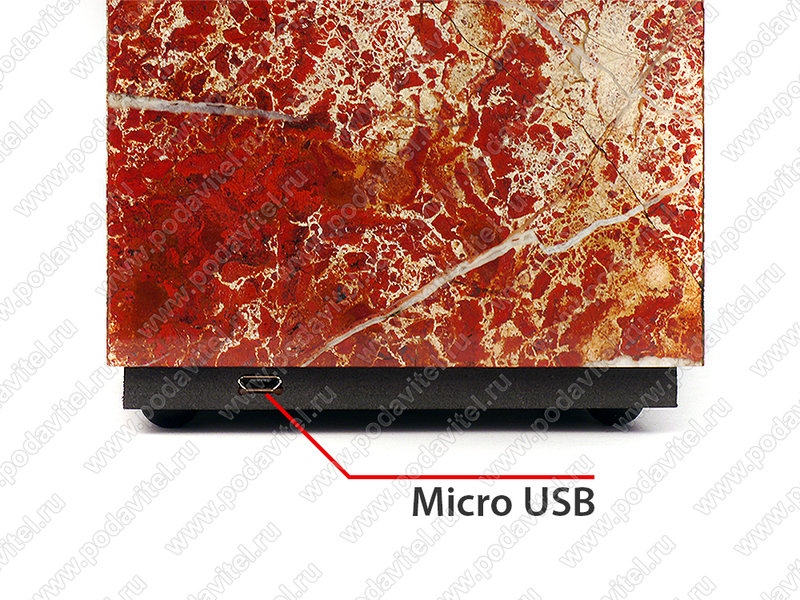 Custom malachite case can be ordered. 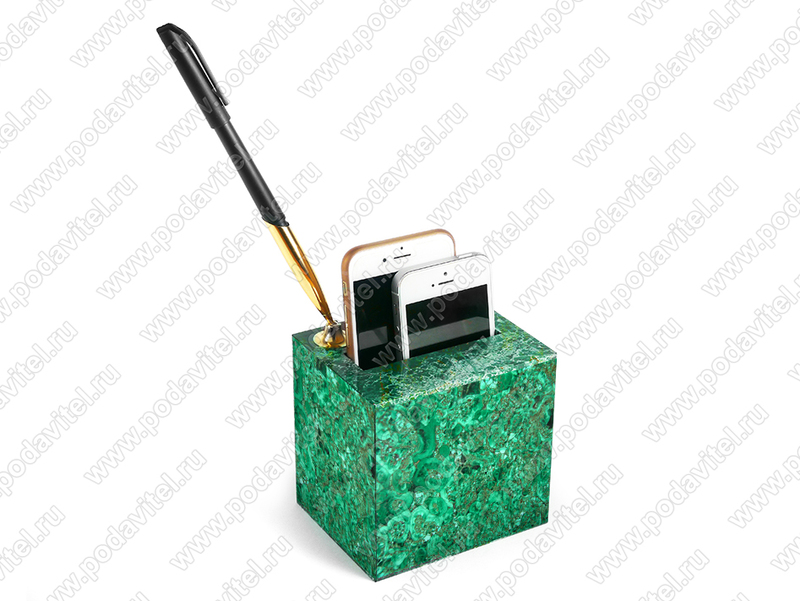 At the buyer’s request we can make the case of an acoustic safe from natural malachite stone, in which case the price increases for 20000 rubles. - up to 168 hours in standby mode. 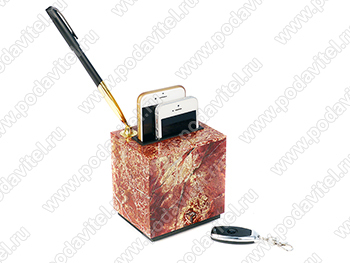 "SPY-box Ladya-K" - 1 pc. Power Adapter - 1 pc.